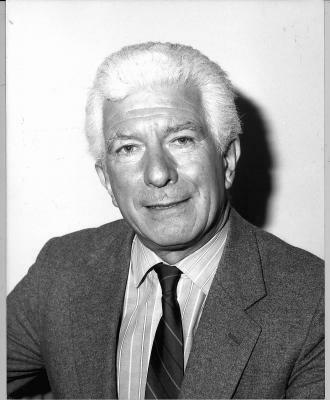 BOB EDWARDS, who died in May aged 86, was a prominent if somewhat maverick journalist with the distinction of having been appointed a Fleet Street editor on four occasions (including twice at the Daily Express), a feat that earned him a place in the Guinness Book of Records. From 1966 until 1972 he edited The People and then, for 13 years, the Sunday Mirror. After leaving school at the age of 15 he began his journalistic career on the Reading Mercury, interrupted by war service in the ranks of RAF ground crew. After the war he returned to the Mercury as a district reporter before joining Tribune on the recommendation of the Labour MP Ian Mikardo. After a brief spell on The People, he returned to Tribune in 1951 as editor. In 1966 Edwards took over The People and in 1972, with the Sunday Mirror’s circulation flagging under Michael Christiansen’s editorship, Edwards was moved over to succeed him. After Robert Maxwell took over Mirror Group in 1984, however, Edwards stayed on for only five months. In 1985 he became deputy chairman, retiring the following year at the age of 60. In 1990 he became ombudsman for the Today newspaper, at the invitation of the then editor, David Montgomery. Between 1988 and 2003 he chaired the Scoop of the Year awards panel for the London Press Club. Edwards was appointed CBE in 1986. He published his autobiography, Goodbye Fleet Street, in 1988. Bob Edwards married, in 1952, Laura Ellwood, with whom he had two sons and two daughters. The marriage was dissolved in 1972, and in 1977 he married Brigid Segrave. Bob Edwards, born October 26 1925, died May 28 2012.